Yes, you heard it right. 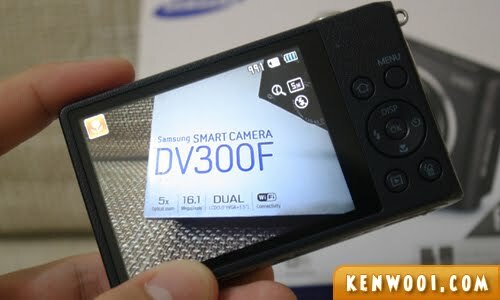 Apparently there IS such a gadget, and I hereby present to you the… Samsung DV300F, or also known as a Smart Camera! With all sorts of smart-phones dominating the Earthlings, the existence of the Smart Camera is very much unknown. Honestly, I was quite skeptical about the whole smartness-from-a-camera idea. How smart could a camera be? What should I expect from it? Well, it looks and functions like an ordinary compact camera. Point, focus and shoot – so easy. There’s no need for any additional knowledge or skill to work the camera. Even my grandma can use it. 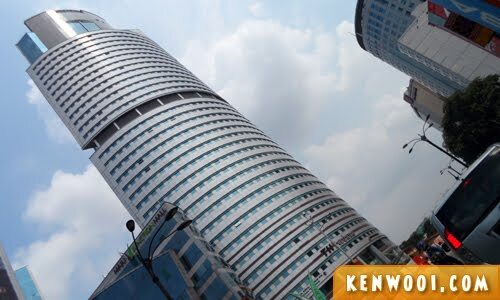 Anyway, below is a sample photo of a skyscraper in Kuala Lumpur taken by my grandma. With sufficient daylight, the photo turns out pretty well. However, the camera don’t focus well sometimes. It’s sensitive towards slight movements and could ruin the suppose-to-be-clear photo. The solution… TAKE AGAIN! Pfftt! It’s… Social Sharing! 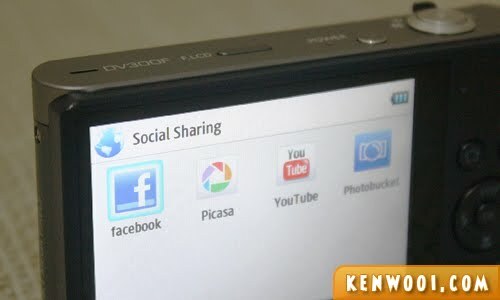 With built-in Wi-Fi, photos and videos can be uploaded directly to social networking sites including Facebook and YouTube. Wah, so high-tech! But unfortunately, there’s no Twitter on the list. That’s just unacceptable – how could they possibly miss out Twitter right? Tsk tsk. Oh yeah, do you know that there’s a front-mounted screen? It activates by its own when shooting self-portraits. It’s really, really useful. Anyway, the built-in creative filters are innovative, and they’re something you’ll actually want to use. Here’s a photo with the Vignette effect filter. 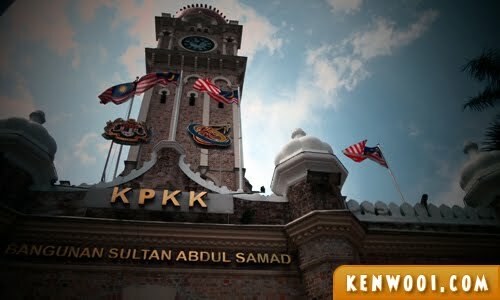 It makes the Bangunan Sultan Abdul Samad looks super nostalgic. Here’s another with the Cartoon effect filter. 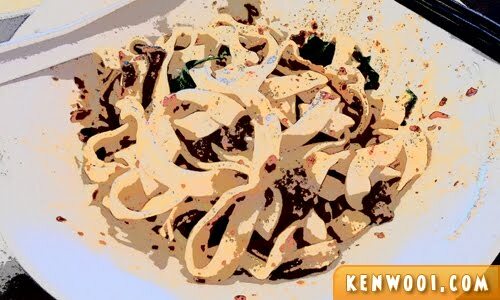 It makes the noodles look like… some food eaten by Garfield, or Pikachu. Cartoon what, right? The thing is, no Photoshop or whatever image-editing software is needed at all. Pretty impressive, I must say. 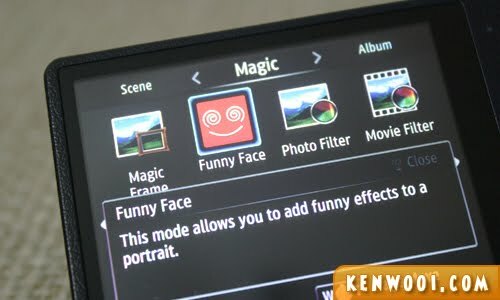 Oh yeah, another feature that blew me away is the Funny Face mode. It works by recognizing a face and then distorting it. There’s no need for any additional editing at all. Well, the results are definitely not flattering, but they are quirky… and maybe, funny too. Look…! 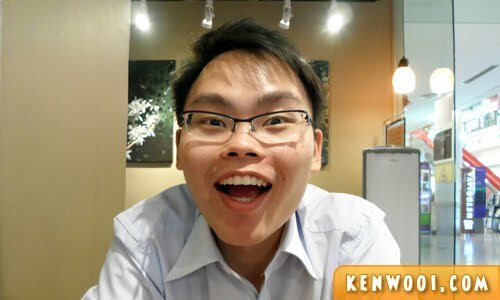 Hi, I’m Sleepy Ken. Zzzz! So yeah, that’s pretty much the features of the camera that are worth mentioning. You may wonder, does it live up to its “Smart Camera” name? Well, not really. 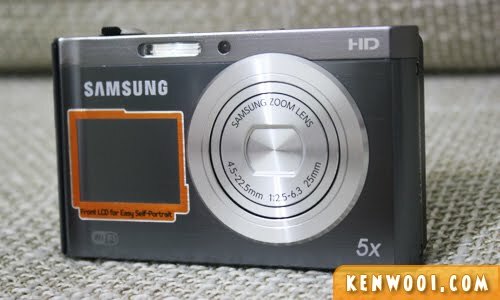 If it’s any consolation, the Samsung DV300F is a fun camera to have. If you wanna pick up photography and take nice shots, this ain’t the camera for you. It’s suitable for those who wanna have fun taking photos, plus unleash their creative and artsy-fartsy inner-self. According to sources, it’s RM699. I could give you a unit for free, but I don’t have any. 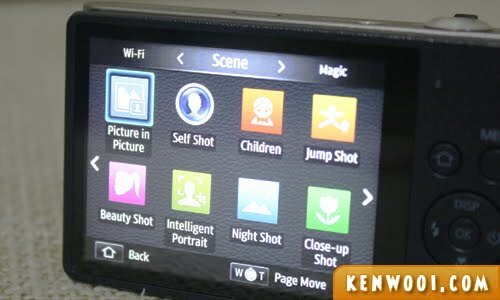 I’m lazy to Google, where can I get more info about the camera? 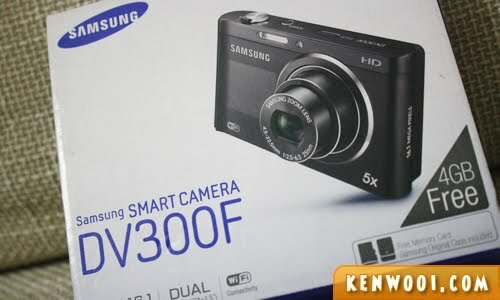 Hi Lazy to Google, click here – Samsung DV300F. Is this an honest review? Damn, sure it is! I don’t lie. My grandma always tell me that lying is baaaaddd. Does grandma Wooi really know how to use it? My grandma is a super-grandma! Okay, no. She doesn’t know how to use it. wah, front screen is cool! Wow! 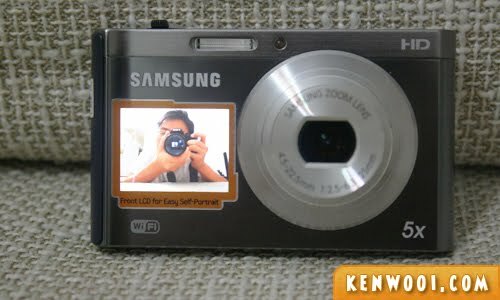 Cool camera! So social media friendly LOL! Now if only Samsung can make it a good camera that takes really sharp pictures! Btw, your faces are damn funny! Hahaha! 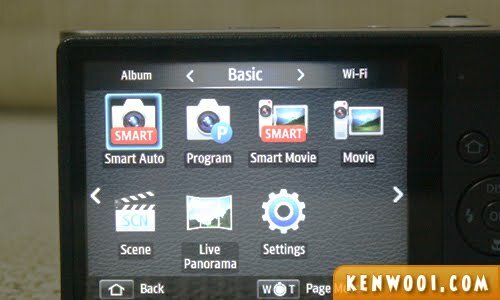 what so smart about this camera? can it snap a picture automatically? 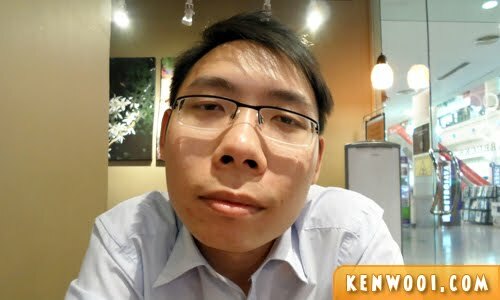 does it improve my life? lol..imagine taking pictures in a park and has no wifi, where’s the smart in that? lol. I definitely need one of that to make me look as happy as you! Frankly, what impress me is the wi-fi and direct video link. Good, Good, Good one! Hahahaha, funny as always man. This is probably what I need. 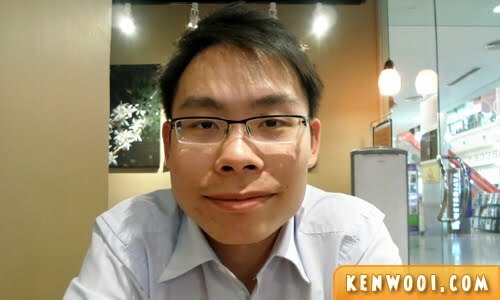 Most of the time I travel alone, and always aim wrongly when trying to get my photo in with a good background. RM699 huh, where to get that now. Hmmmm. Seems pretty good for a normal digital camera. But the price is already half of a cheap DSLR right? LOL. I really should start using a camera. Hello, nice review. May i know if it’s possible to upload it to instagram? As of my review, it’s not possible. The social network selection on the camera is pre-fixed.